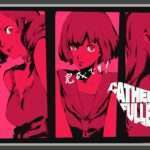 In November 2018, it was announced that there would be Share functionality restrictions put in place for Catherine: Full Body where players would be unable to use it after the sixth in-game day to limit spoilers. Atlus has now released their guidelines for sharing media for the upcoming action-adventure puzzle game which will be released in Japan next week. Restricted Section in Golden Theater (Story): From the save point starting on the 6th day of the apartment hallway to the ending. 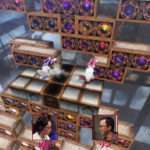 Images from “Catherine: Full Body” obtained through the PlayStation 4’s Share function is only for personal use. You can deliver videos from the PS4 Share function to the associated video sharing sites. When delivering content that relates to the story such as event scenes, to avoid depriving other customers of their enjoyment, please clearly highlight that story details are involved. Please note that description of the copyright holders is required to publicize and deliver content. Please do not live stream using other methods than the PS4 Share function. 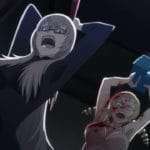 Additionally, distributing videos with capture equipment from the PS Vita version of “Catherine: Full Body” is prohibited. Please do not reuse others’ video content. Please do not publish audio-only content such as background music for use to only listen to music. Since media sharing sites and services requiring payment to view would be considered for commercial purposes, please refrain from using those. However, the Niconico Premium service is excluded. Please do not post content to slander a third party, including specific players. If we send out a request, regardless of the reason, please stop distributing the video instantly. Furthermore, we may we may stop and delete the distribution of videos which we deem inappropriate. We may not be able to answer inquiries concerning the reasons behind this, so please be forewarned. We do not make any guarantees for third parties whose rights may be infringed by the publication of these videos. Additionally, we will not indemnify any damages from a conflict with third parties as a result of these videos.